So to our second special guest this Easter weekend at East Lancashire Railway. 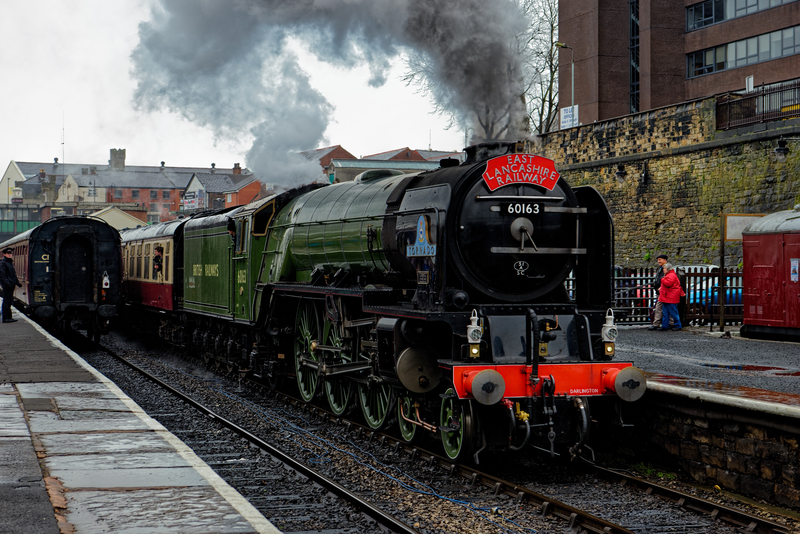 Tornado is a Pacific A1 Peppercorn class loco which has been built as a brand new engine in 2008. Indeed she is the only Steam loco to have reached 100mph on a modern mainline track. this is my first viewing, albeit a fleeting one. But she is a gorgeous locomotive. I can see why she attracts the crowds.